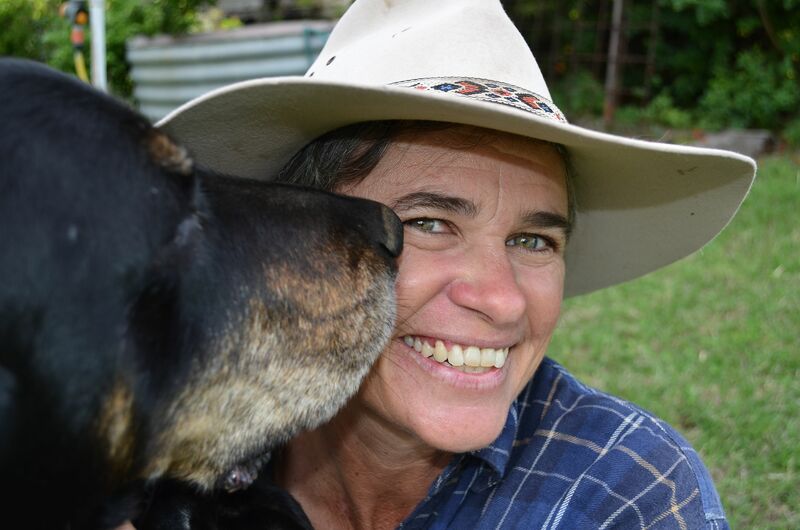 Mandy McKeesick is a freelance writer and cattle farmer based in central Queensland. She grew up on the coast of eastern Australia before heading briefly to the bright lights of Sydney where she studied at the University of New South Wales. Armed with a Bachelor of Science Degree she headed to the wilds of Western Australia where she worked as an exploration geologist in such world-renowned areas as Nullagine, Menzies and Whim Creek. She also picked up a Kiwi husband, Brian, in the Great Sandy Desert. A four-month camping trip through the Kimberley and across northern Australia with a dog and a couple of swags preceded a move to Lochiel in southern NSW where Brian worked as an abalone diver and Mandy as his deckhand. Seasick and nigh divorced by lunchtime every day and she thought fifteen months was enough as a deckhand. She then flirted with scuba diving, secretarial work and rental property management (she still has the scars) before setting up a bookkeeping business and teaching accountants about tax laws. In 2004 Mandy and Brian changed tack once again and took up cattle farming full-time. Of all her challenges, perhaps farming has been the greatest: mustering, working dogs, eating the wildlife, truck driving, droughts, fractious thoroughbreds, miniature fox terriers who think they are pig dogs, and a whole lot of other adventures. The Rocky Springs Rambles are a collection of these tales, complete with a cast of characters. Writing from life experience Mandy uses her words to promote her love of the people and places of rural Australia. Neat, Mandy……your talents are now shared with the world. Hope life is good at Rocky Springs. Hey mandy looking foward to hearing your adventures as I am sure there will be many. The National Library of Australia is interested in contacting the author of this blog with regard to its possible inclusion within PANDORA: Australia’s Web Archive. We were unable to locate any contact details onsite and are requesting that if you are interested in your blog being archived that you contact us at: webarchive [at] nla.gov.au. Hey, Mandy, you’re about to become a National Treasure (if you’re not already one)!! Bobby Dazzler’s Blog is already there — I knew you wouldn’t be far behind. What is even spookier is that we are probably related! Thank you for your comments and I look forward to reading your blog. What a great summary of your life so far! What prompted you and your husband to get a cattle property? I laughed when you mentioned you write to keep sane. I can relate, I spend a lot of time on my own so it’s a good creative outlet for me. Plus I actually have to use my brain a bit. I wonder if you have any photos of Braeside. I ask because it was my uncles farm for a very long time and it would great if you had any photos of the house and buildings. Spot on Baz. Thanks for following. What a cast of characters you have – how could I not follow? Looking forward to future posts. A Canadian and a horse lover? Looking forward to following your blog as well. Thanks for stopping by.